Now iPhone 5S and 5C reviews are out, will Apple win T3's best brand award? 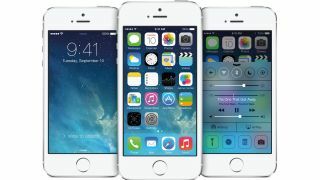 Apple always garners more attention than most when it comes to releases and the launch of the iPhone 5S and iPhone 5C is of no exception. The reviews are in, people have started queuing and the flat-look of iOS 7 is slicing away at that nasty thing called skeuomorphism. It has been an interesting year for Apple. It's the first time the company has released two separate phones at the same time and its latest iOS update is the most significant yet, dramatically changing an operating system that has stayed pretty much the same for the last six years. With Tim Cook now at the helm, Apple is changing its ways but does this make it a better brand? You now have your chance to vote. This year's Ford SYNC presents T3 Gadget Awards 2013 has a Brand of the Year category and Apple is one of the nominations. It is up against some powerful opposition, however. Sony, Samsung, Sky, Google and HTC have all been entered into the shortlist – proving that this will be one of the closest fought categories in years. Considering Samsung has strengthened its brand with the launch of the Galaxy S4, HTC released the HTC One, one of the best phones ever, Sky brought Smart TV technology to dumb TVs everywhere, Sony paved the way for 4K in the home and Google dominated the smartphone market, each brand has never been stronger. Which is why you need to have your say and help determine the winner.